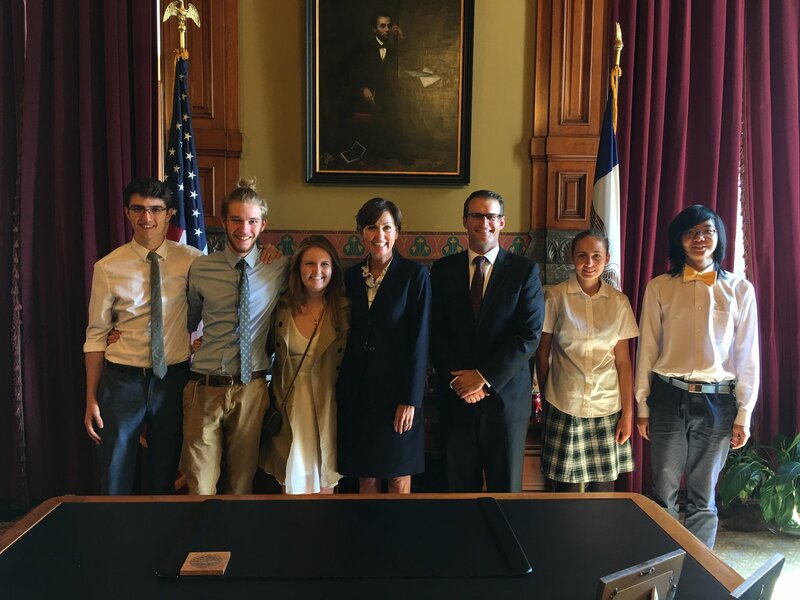 Ranked #1 Best Private High School in Iowa for 2019 by Niche.com, as well as #1 most diverse Private High School and the #1 K-12 Private School in Iowa. 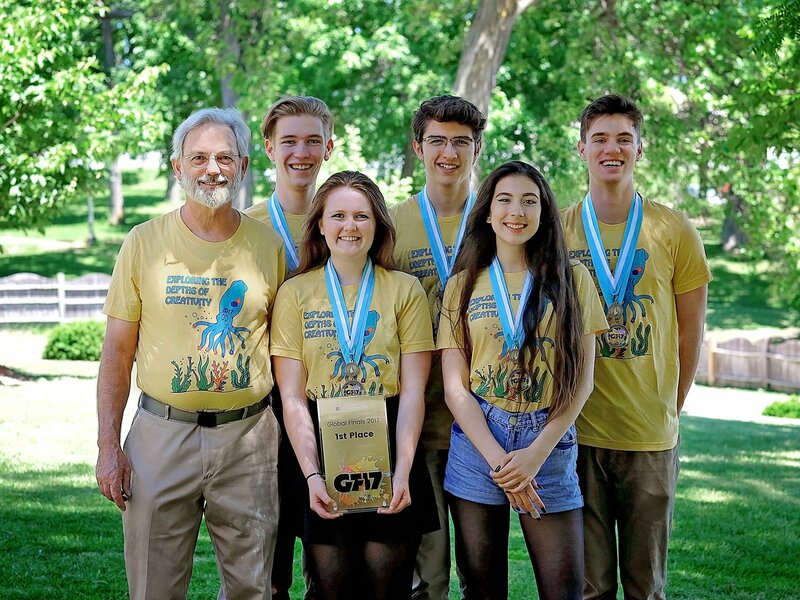 Two teams competed at the 2018 DestiNation Imagination Global Finals competition. In rocketry, we received 7th and 10th place, at the Team America Rocketry Competition (out of more than 800 teams) and the only school to place 2 teams in the top 10. Shristi Sharma, State Science and Technology Fair, 2018: 1) Intel International Science and Engineering Fair Trip Award, Student Observer, 2) 1st Place in the Computer Science category, 3) Intel Excellence in Computer Science and $200 cash award. Rick Rudloff’s, a Maharishi School rocketry teacher, received the Outstanding Advisor of the Year (TARC). 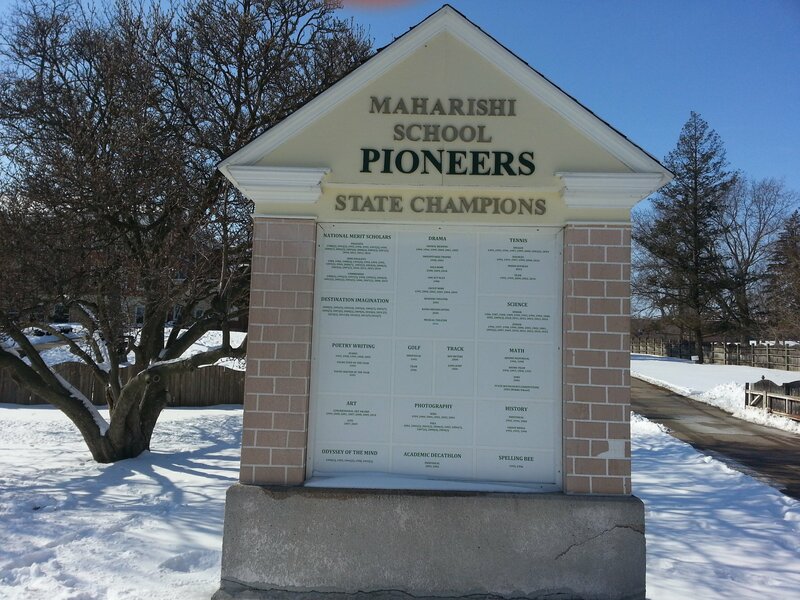 24/7 Wall Street ranks Maharishi School as the #1 best Private School in Iowa. Ranked #2 best private high school in Iowa by Niche.com, as well as #1 best private high school for diversity. In creative problem solving, 1st Place at DestiNation Imagination Global Finals. Alista Wikle, Philip Winer, Loreena Hansen, Drew Schoenfeld, and Caleb Mullenneaux won the first place at the international level of the DestiNation Imagination competition, as well as the Da Vinci Award for outstanding creativity. In rocketry, 4th place at Team America Rocketry Challenge. The Rocketry Team, including Wayne Li, Bridgit Bianco, Miles Falk, and Karthik Vempati, finished 4th out of 823 teams at the national competition in Huntsville, Alabama. In scientific research, finalist at the INTEL International Science and Engineering Fair and 3rd place in Microbiology division. Pranav Chhalliyil was also named Finalist and National winner of the Global Healthcare Challenge at the International BioGENEius Challenge 2017; won the International BioGENEius GENEPool Competition; named Honorary Grand Champion of the 2017 Iowa State Science and Technology Fair. In tennis, 2nd place at Iowa State Singles Tennis. 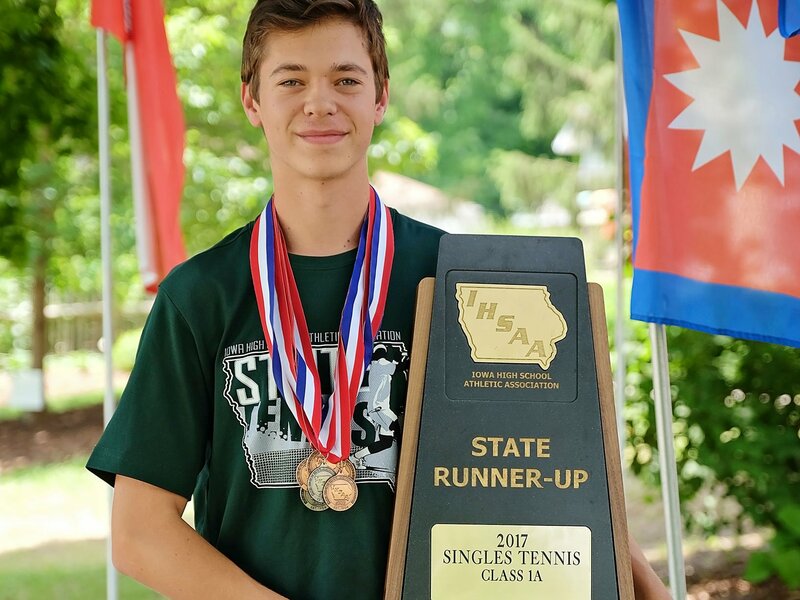 Kai Vessey won second place in the Iowa State Singles Tennis Competition and the Pioneer team won the Class 1A Triple Crown District Championship (Singles, Doubles, and Team). In computer science, Middle School Winner. 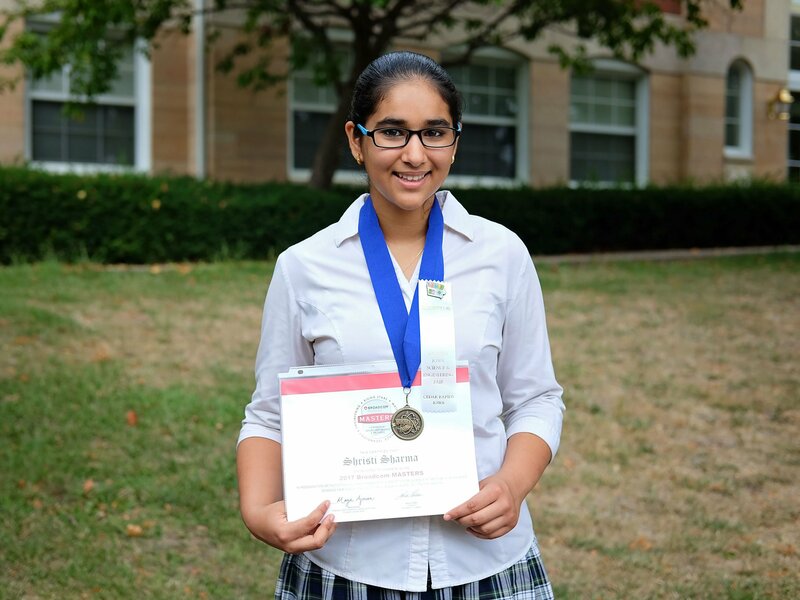 Shristi Sharma won the Eastern Iowa Science and Engineering Fair 2017 as well as a Broadcom Masters Outstanding Achievement Award. Each of our graduating students is off to a running start, attending universities and colleges such as George Washington University, Penn State, St. Olaf College, Otis College of Art and Design, California State – Long Beach, University of Glasgow, University of Indiana, and University of Iowa Honors Program. 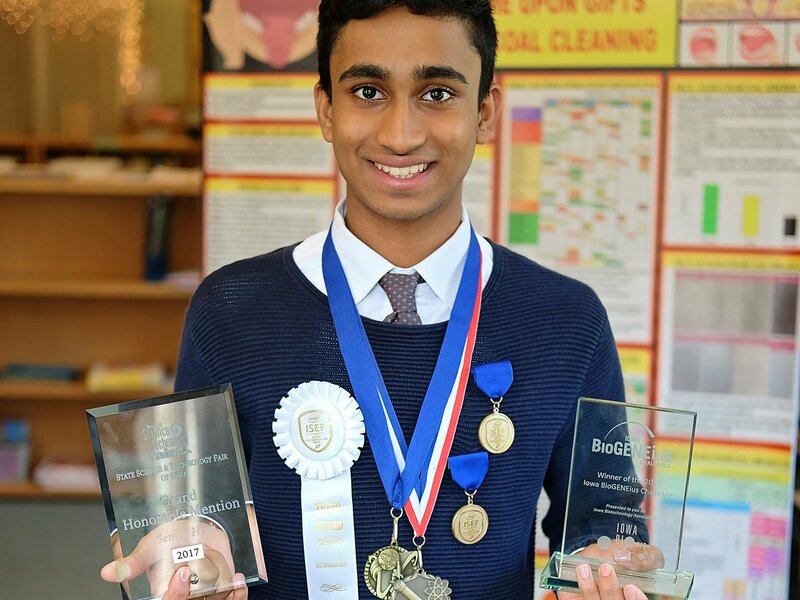 Pranav Chhalliyil won the State Science Fair Grand Championship as a 9th grader, the youngest in state history, and won 4th place at the International INTEL Science and Engineering Fair. He studied the relative effectiveness of three different methods of traditional oral hygiene. The team of Anna Unger and Devan Burke won the State Champion Critic’s Choice banner in Musical Theatre, our 18th championship in drama and our first in this category. We won our first awards in Iowa High School Musical Theatre program, with three participants in the All-State performance in Des Moines. In the creativity competition Destination Imagination, seven Maharishi School teams won state championship awards in their division, qualifying them for the international competition. At the Global Finals, teams placed 7th and 17th. 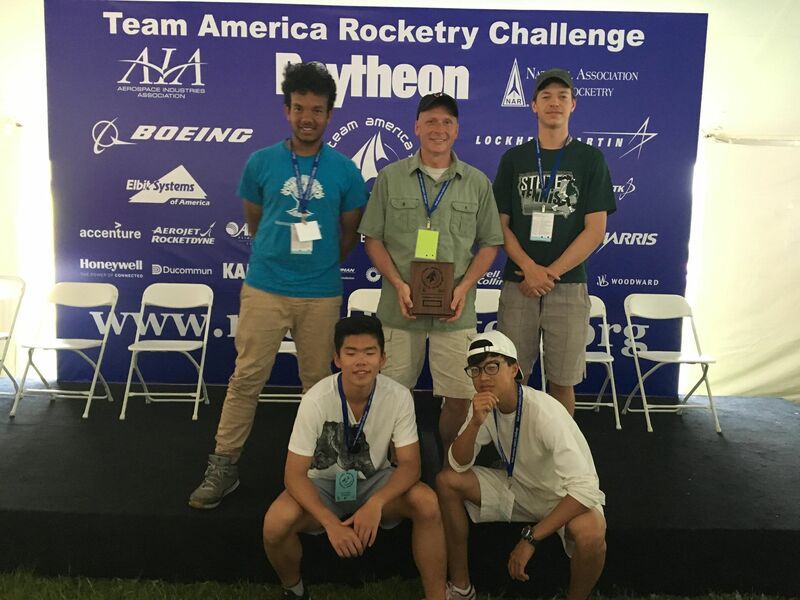 The Rocketry Team finished 112th out of 789 entries in the largest national competition. In track, Ross Emmanuel earned 2nd place in the State 800 meter and Distance Medley events, and 5th in the 400-meter run in which he set our School record. 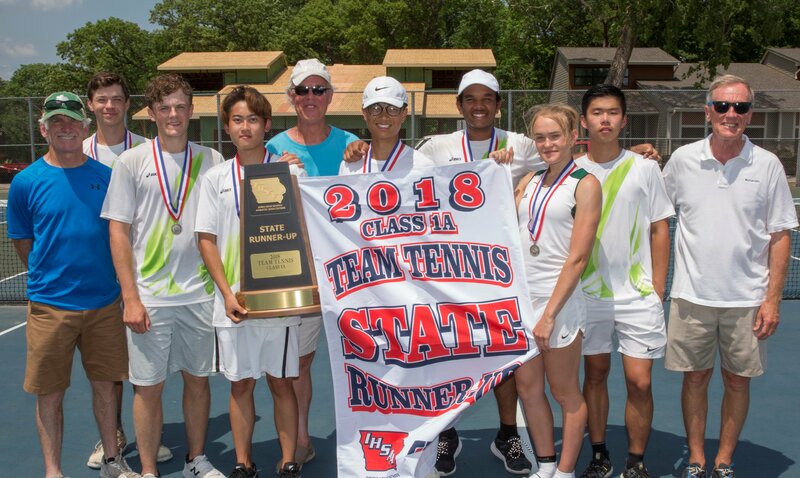 The Boys’ Tennis team finished in the Top 8 in Iowa, with Chandre Morales earning 3rd Place in State Singles and Kai Vessey and Daniel Zhu earning 3rd Place in State Doubles. We successfully expanded Project-Based Learning with many creative projects: entrepreneurship, rocketry, video production, ceramics, culinary arts, food blogs, app design, experimental music and songwriting, individual projects, and more. These projects had real-world applications and specific products that were shared in our quarterly Showcase events. Graduating students have been accepted at 35 colleges across the US, including Rensselaer Polytech, UC-Irvine, UC-Santa Barbara, Washington U, Academy of Art in San Francisco, Sarah Lawrence, Maryland Institute, Arcadia, South Dakota, Purdue, University of Wisconsin-Madison.